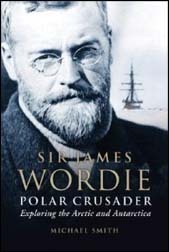 Sir James Mann Wordie was the elder statesman of Polar exploration - the durable link between the Heroic Age of Scott and Shackleton and the mechanised age which opened up the Arctic and Antarctic regions. Wordie was trapped on Elephant Island during Shackleton's epic Endurance expedition (1914-16) and his previously unpublished diary of the ordeal (edited extracts are incorporated) provides an intriguing new insight into the greatest story of survival ever told. Wordie launched another eight expeditions to the Polar territories while well into his forties; he pioneered a new style of exploration in the '20s and '30s, and nurtured a new generation of explorers like Fuchs and Watkins. Wordie, born in Glasgow in 1889, was a hugely influential explorer and academic who, as President of the Royal Geographical Society and Chairman of the Scott Polar Research Institute, dominated British exploration for almost 40 years. He was also Master of St John's College, Cambridge. Wordie was a central figure in war-time intelligence, shaping British policy in the Falklands, and played a pivotal role in the conquest of Everest in 1953. Wordie's last major act was to help mastermind the first coast-to-coast crossing of Antarctica with Fuchs in 1956, the feat which eluded him on Shackleton's Endurance expedition. This is the first biography of Wordie, and it draws on his extensive and unpublished papers and diaries, a wide range of official sources and personal recollections of family, friends and colleagues. In providing an all-round portrait of a fascinating man and his achievements, Michael Smith's book places Sir James Wordie in his rightful place in the pantheon of great British explorers.